In the modern era of overblown movie running times (Alfred Hitchcock once famously remarked that ‘the length of a film should be directly related to the endurance of the human bladder’) it is something of a relief to discover a time when it wasn’t always that way. “Back in the day” (as modern parlance has it) a trip to the cinema meant more than one film and overpriced confectionary. 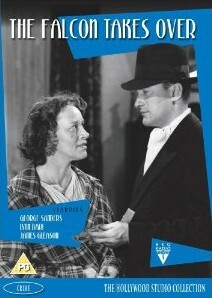 Once, there was a full programme- a short comedy, a newsreel (in the days before television), an episode of a serial (ending on a cliffhanger so precarious that even the cynics returned the following week to see how it all turned out), and two films. One of these would be the main feature- the “star” movie, the one the studio had invested big bucks in. The other would be the so-called ‘B’ film- more cheaply made, with minor directing talent and even more minor stars (though legends in their own cult circles). Not much was expected of these ‘B’ films- their role was a simple one: to be there to support the ‘A’ film, fill out the programme and act as a way to get value out of the studio’s contracted stock company. Thus enter The Falcon- a creation of Michael Arlen, who debuted on film in 1941 played by George Sanders (who would make a suitable dictionary definition for the word ‘suave’). Bizarrely, after four such outings, Sanders was replaced by his brother Tom Conway (the more well-known persona of The Falcon). Given their decidedly bargain basement production values, the films featuring The Falcon should be of questionable merit, but they are actually surprisingly entertaining- perhaps for the very reason of their length. This enables the plot to zip along- the efficient montage of night-life that opens The Falcon Takes Over being an example of the brevity of the films. Sanders’ first words as The Falcon (‘allow me’, as he offers a light) are appropriately iconic- he coasts through the role, bringing the spectator into the structure of the film with ease (parallels to the great Rathbone/Bruce Sherlock Holmes films here). The Falcon films are also notable for their light dialogue- the wit serves as an anecdote to the sometimes surprisingly convoluted plot, and makes the running time (approximately 60 minutes per film!) simply fly by. Unlike some more recent films (which have a plot suited to a 30 minute film yet take over 2 hours to unravel it), the Falcon films undertake to tell an interesting (and often gripping) story in half that time. 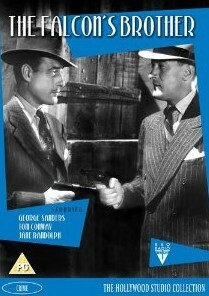 As well as The Falcon Takes Over (Sanders’ third outing as the detective), Odeon Entertainment also offer The Falcon’s Brother- an intriguingly atmospheric film that introduces Tom Conway (Sanders’ real-life brother), who would replace Sanders and extend the series by a further nine films made between 1943-1946. Pleasingly, every film carries a different title (the movie world not having succumbed to the lazy suffixes ‘2’, ‘3’ and so on). The quality of the film prints is excellent- the only gripe from the consumer’s point of view is the slightly high price tag (RRP £9.99) of each film, bearing in mind that the running time would have enabled a ‘2 on 1’ to be issued for a not dissimilar price. 'The Falcon Takes Over' and 'The Falcon's Brother' are available on DVD from Odeon Entertainment.